Toys “R” Us announced Monday that its U.S. and Canadian subsidiaries have voluntarily filed for Chapter 11 bankruptcy. The decision gives the company a chance to hold off its creditors and reorganize its business in an attempt to return to profitability. The company said that it will use its court-supervised proceedings to restructure $5 billion in outstanding debt and invest in the long-term growth of the company. 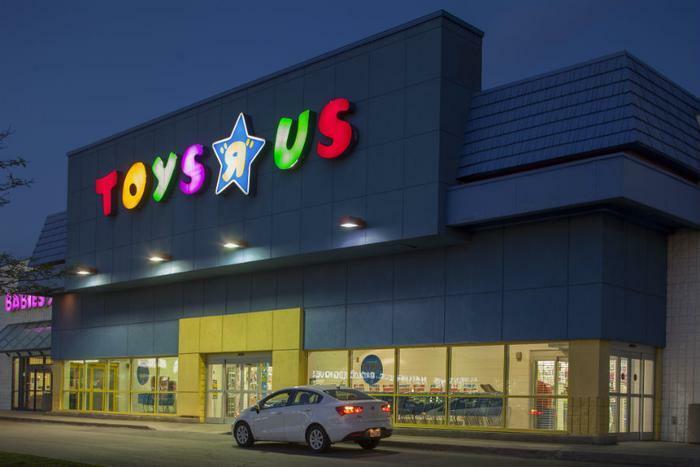 “Today marks the dawn of a new era at Toys“R”Us where we expect that the financial constraints that have held us back will be addressed in a lasting and effective way,” said Toys “R” Us Chairman and CEO Dave Brandon. Brandon cited an “increasingly challenging and rapidly changing retail marketplace” as the reason for the retailer’s current woes. He followed up by saying that filing under Chapter 11 will allow Toys “R” Us to strengthen its competitive position and improve the customer experience. The filing comes at an especially challenging time of year, as retailers across the U.S. are beginning preparations for what should be a busy holiday shopping season. However, the company has assured its customers that the filing will not result in mass store closures..
“As the holiday season ramps up, our physical and web stores are open for business, and our team members around the world look forward to continuing to put huge smiles on children’s faces. We thank our vendors for their ongoing support through this important season and beyond,” said Brandon. The company said that it has thus far received over $3 billion in debtor-in-possession (DIP) financing from lenders, which it expects will aid in the restructuring process. On its restructuring informational page, the company says that the Chapter 11 filing only affects its U.S. and Canadian operations, which excludes its separate entities in Asia. Toys “R” Us currently operates approximately 1,600 stores worldwide and employs nearly 65,000 workers.